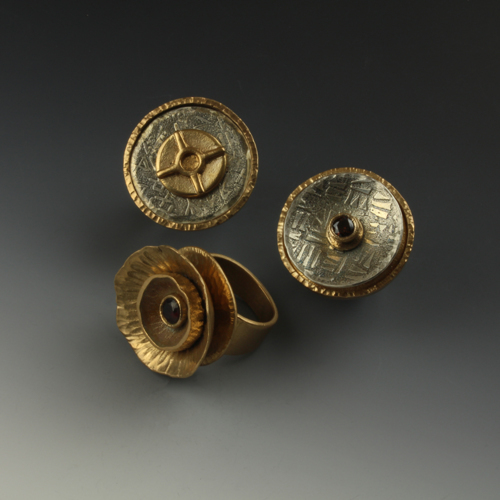 Sculpted bronze and fine silver rings with garnet stones. 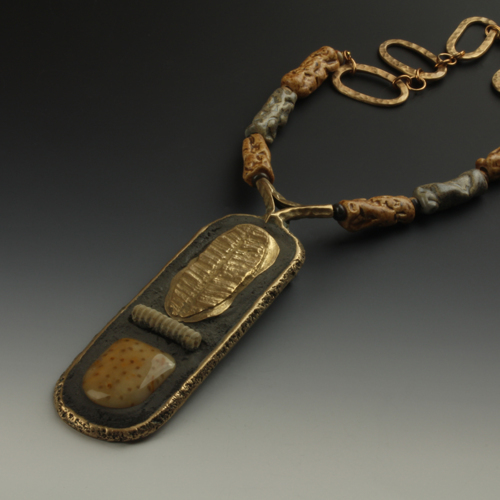 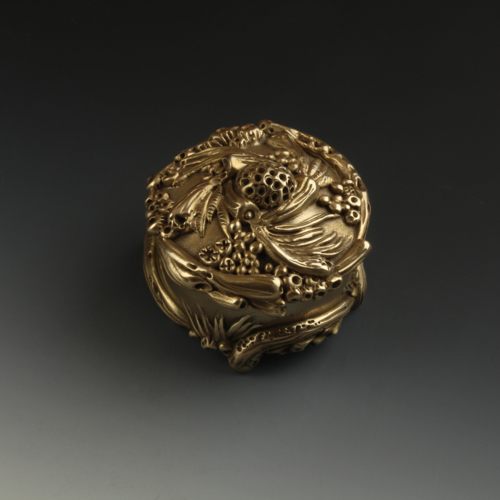 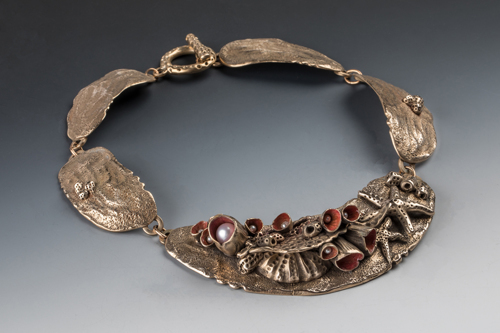 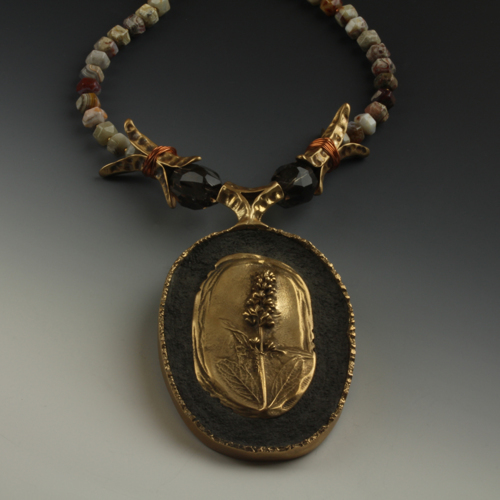 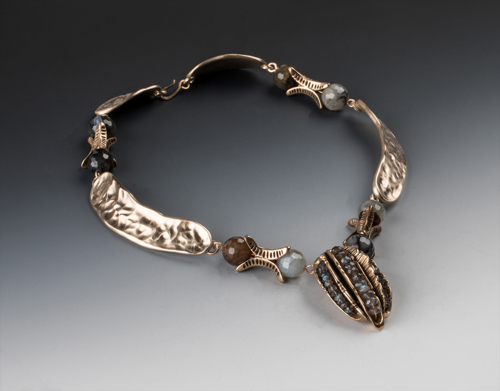 Bronze with crinoid stem fossil and fossilized palm wood stone. 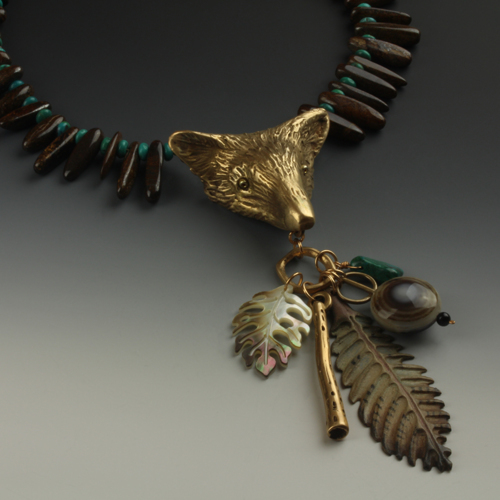 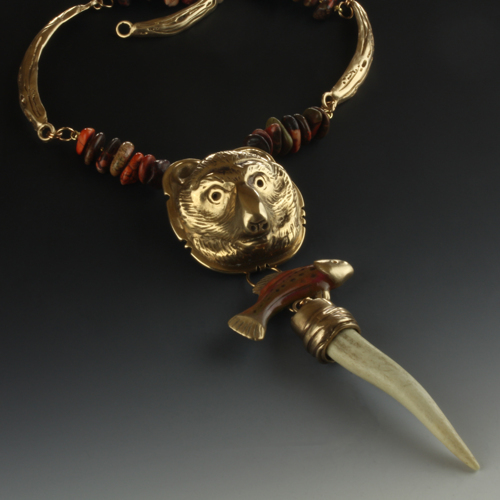 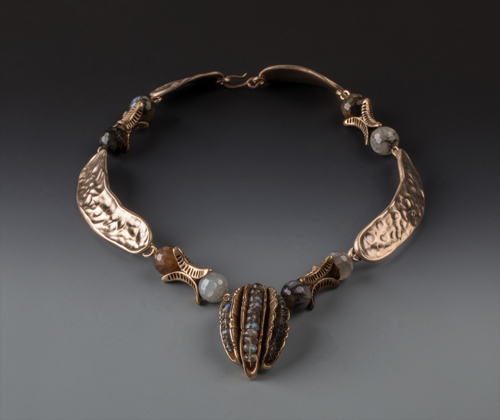 Sculpted bronze fox pendant with bronze feather, abalone leaf, agate eye bead. 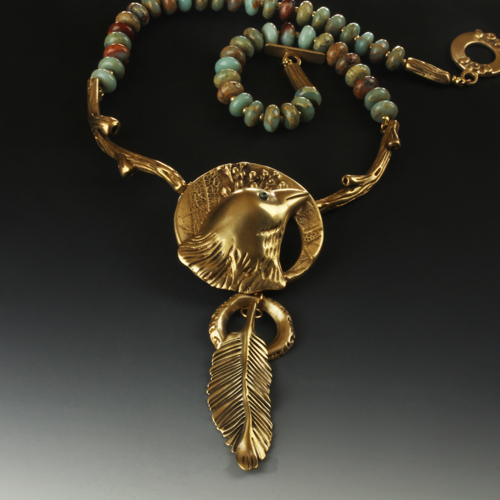 Petersite and turquoise beads make up the fringed collar. 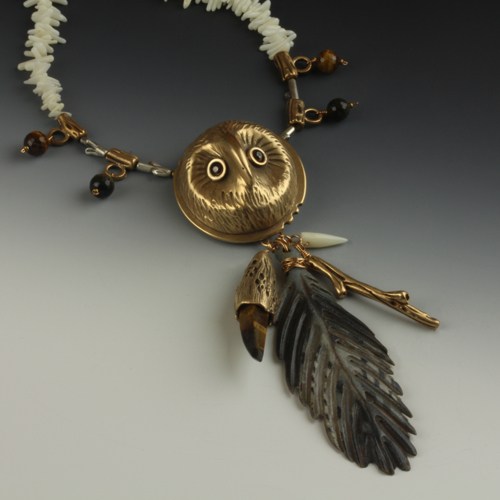 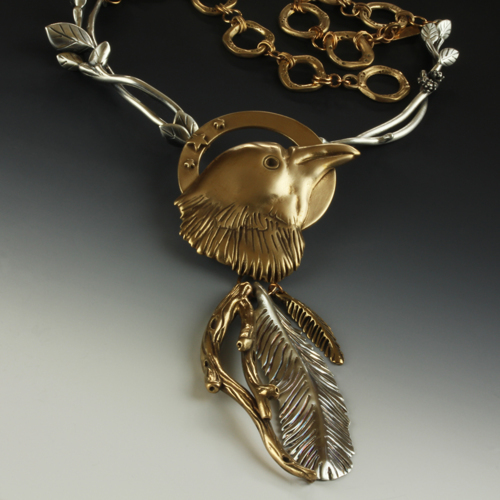 Sculpted bronze owl with bronze feather, tigers eye pod, white coral drop. 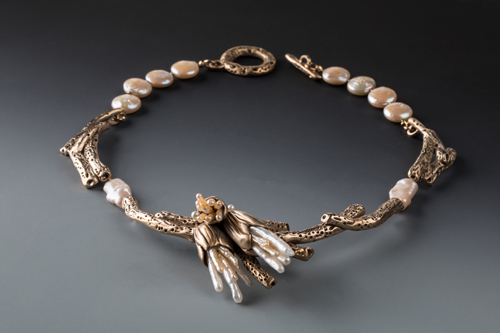 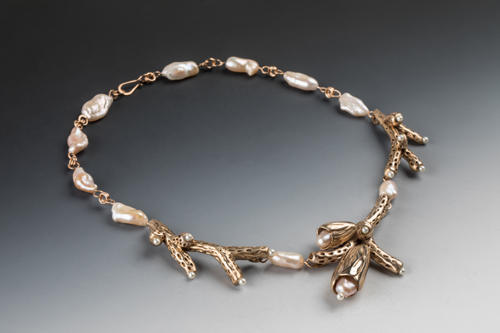 White coral with tigers eye drops make up the collar.